This health key and dietary needs story, as well as the gingerbread muffins recipe, is a sponsored shop on behalf of Mariano’s. I am a member of the Collective Bias® Social Fabric® Community. The new year will bring a lot of changes. I have discussed gluten a couple of times before but I haven’t made a huge change yet. I’ve learned the dangers of gluten on the brain and I certainly have been making little steps to move away from using so much gluten. Since I do not have celiac, nor do I get any digestive issues from eating gluten (as far as I can tell anyway), avoiding gluten entirely will not be easy nor do I expect it to happen. Because I will be doing this for the sake of better health rather than avoiding pain, making this change is harder than it would be for someone with digestive issues, I think, since I don’t really have something to “punish” me for my gluten consumption (and I am grateful that I have no problems with it, trust me – I am). But I am making a conscious decision to move away from gluten whenever possible. I’m happy to say that my mother has become more open to the idea of being gluten-free too even though I know they will not ever become more gluten-free than not, since my dad has no intention of eliminating it from his diet. I’m just glad she has started looking at gluten-free baking and limiting her gluten intake more than before. Little steps. Another thing that is changing and has changed in the last 2 weeks is my relationship with dairy. I was never huge into dairy. I haven’t been drinking cow’s milk for many years now – switching to a variety of non-dairy milks. I haven’t been a huge fan of cheese, although it’s nice sometimes but it’s definitely not something I eat that frequently. My vice was yogurt. I was a HUGE lover of yogurt. Greek yogurt all day everyday. And that is not even a big exaggeration. There were certainly days where I ate something with Greek Yogurt for every meal of the day (not my proudest moments). I was also really into frozen yogurt. Like, very much. I’d eat it numerous time per week. I know the combination of that along with sugar was not making a good habit formation. Sugar is another story I’m going to get into in another post. But let me continue about dairy… so yogurt was a big player in my diet. HUGE. I didn’t think I was eating a lot of dairy since my variety of dairy intake was limited to just yogurt but the AMOUNT of that yogurt I was eating was making things a bit out of balance. Then… something started being not so great. My tummy started giving me more trouble. I never had tummy issues. It wasn’t a huge problem but it consisted always of bloat, gas, and this weird feeling in my stomach.. this strange “empty” feeling. Like it was burninig a hole in my stomach. It also often gave me heart burn as well. This did not happen overnight. The symptoms gradually increased over time until it came to a point where I couldn’t ignore it anymore. Again, the symptoms are not severe by any means. But they are enough for me to notice and want to take action. So here I am – making my “taking action” decision prominent and clear to all. I am putting a limit on my consumption of lactose products. I realized that since I was also eating a good amount of whey protein, this could have also been a culprit. I didn’t realize that whey contained lactose until I looked more into it. But surely, it does. I think the reason why the symptoms came about more now than before is because I did have a time in my life where I really overdid it on whey protein AND yogurt. It was way out of balance in terms of how much I was eating it compared to other foods and I think that’s what created this imbalance in my body. Maybe I exhausted the lactose-digesting enzymes? I don’t know. Moral of the story is – no more yogurt or whey protein for this girl. I got rid of my whey products (and there were A LOT of those lying around everywhere) and I am making a conscious decision to limit my intake of lactose from now on. Now, how does this story relate to Mariano’s health key? Well – grocery stores have a ton of products. All kinds of products. But if you are a person with a specific dietary need, how are you supposed to find the right product for you in the sea of similar-looking products? The health key system that Mariano’s has implemented makes shopping easy because underneath each product that has a specific dietary need fulfilled, there is a note about it. This makes shopping easier for those of us who have specific dietary needs and don’t want to spend hours upon hours of reading label after label of each product. Need a gluten-free option? This helps. Mariano’s Health Key really makes things a lot easier. They have a lot of different specifications too so it makes your life easier, no matter what specification you need. You already know I am a big lover of #MyMarianos. I shop there as often as I can. I love that going there is more of an experience than a mere shopping trip. They have so much to choose from – many different areas of the store that make the whole thing really pleasant and fun. But then again I might be biased, I actually enjoy grocery shopping 😉 But the reward card certainly helps too. Gotta love saving a few bucks! If you’d like to see my other creations with partnership with Mariano’s – check out my gluten-free Roasted Acorn Squash Protein Pancakes and fabulously delicious Cranberry Pumpkin Bread. Check out Mariano’s community website where they feature new ideas and fun new content weekly. You can also follow them on Twitter and like on Facebook! Now, finally onto the recipe I’m sure you’re just dying to print and make yourself! 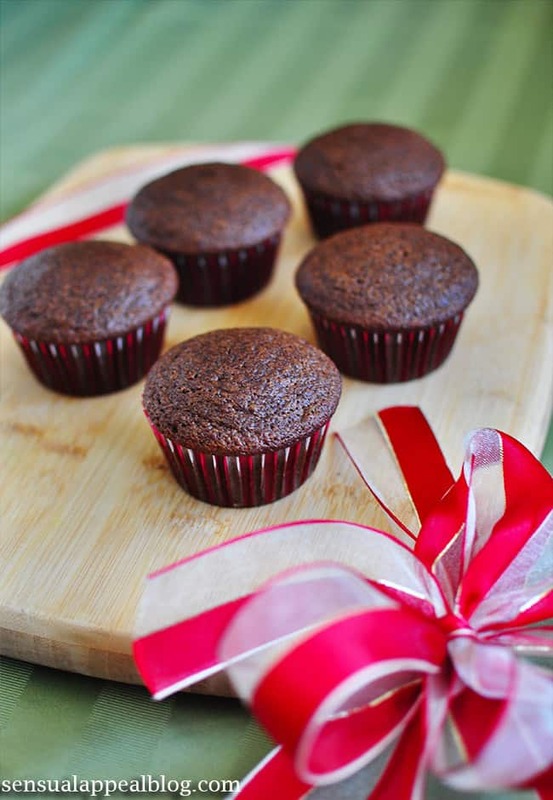 🙂 These gluten-free and dairy-free gingerbread muffins are fabulous. I haven’t made anything gingerbread this whole holiday season and I thought, better late than never, right? 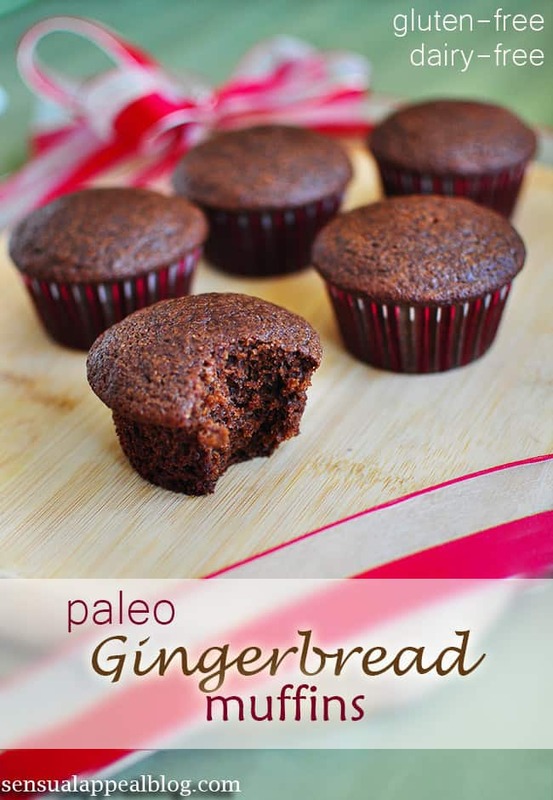 I am a big fan of gingerbread in general and I knew I just had to make it in a gluten-free and dairy-free version! It’s too delicious to pass up, plus it’s so healthy. It just turned out to also be considered a paleo recipe. I’m not paleo but I guess with my recent changes in diet that I’ll be incorporating, paleo is the closest to what I’ll be doing. Note: These muffins are NOT very sweet at all. Because I used blackstrap molasses rather than regular, these pack a great nutritional punch – but they are also much less sweet. 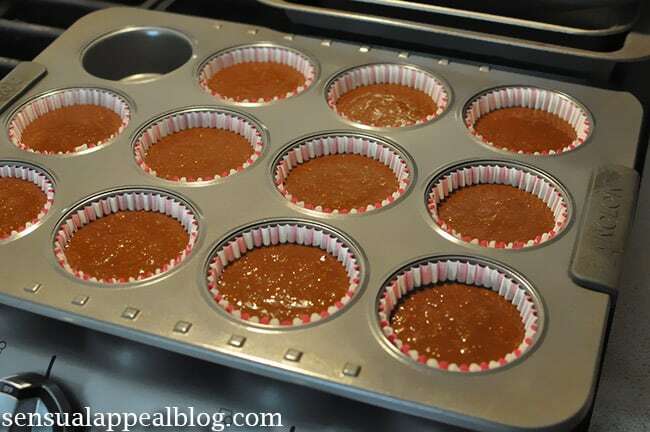 If you prefer sweeter muffins, you can add 10-15 drops of Stevia to the mix or simply use dark molasses instead of blackstrap. But you really can’t substitute the great health benefits you’d get from using blackstrap molasses in this recipe if you substituted it with regular. Enjoy this fabulous healthy holiday recipe! Do you have any dietary restrictions? How long have you followed these? Did you have gingerbread this holiday season? Crap, I just wrote a huge comment and forgot to post it, but I’ll write it again. I want to say good for you for cutting out the dairy and gluten. I went to the doctors and found out I am not lactose intolerant, but have a bacterial infection. The doc said he didn’t know what it was caused from, but my guess is dairy. I have cut dairy pretty much out of my life. I do have it here and there, but I am trying to stay away. As for cheese, I found that Almond Milk Cheese tastes amazing, it does contain a little dairy in it, but not a lot. Plus it’s low fat and low calorie. As for yogurt, I found the first week was hard! I didn’t know what to eat for breakfast, lunch or dinner. I always grabbed yogurt. But now I don’t miss it. I have had it a couple of times the past month and honestly it gave me stomach gurgles and a slight sore throat. I do use a little bit n smoothies and when mixed in with something it doesn’t seem to bother me as straight up yogurt. I think yogurt is what caused my health issues. Since I haven’t really had dairy, I feel great!!! No more bloating or stomach aches! As for gluten, I am too trying to cut back on it. Oh and for milk, I found that lactaid milk is pretty good. I use it in my smoothies and coffee, no one in my house tastes a difference. I wish you the best of luck! Keep us updated on your progress. 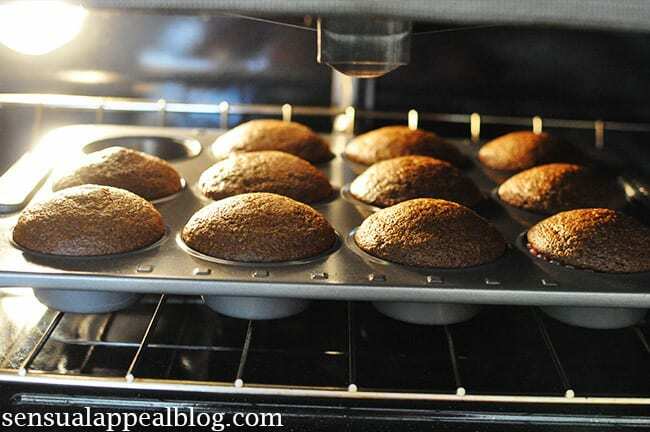 As for your Gingerbread muffins, they look just amazing!!!! Thanks so much for the feedback – I was wondering how your dairy journey has been going. It’s interesting about the bacterial infection. My mom actually said she thinks I might have candida overgrowth because I have extreme sugar cravings and irritability but I don’t know – she said she’s had it before and she felt similarly to how I describe feeling. If this is the case, then I’m sure cutting this out will help immensely too. I haven’t had yogurt in a couple of weeks now and I felt like it was more of a habit than anything but each time I do try a little bit, I do get that strange craving for it, like I need more – and that’s not normal. Thanks again, Jen!! 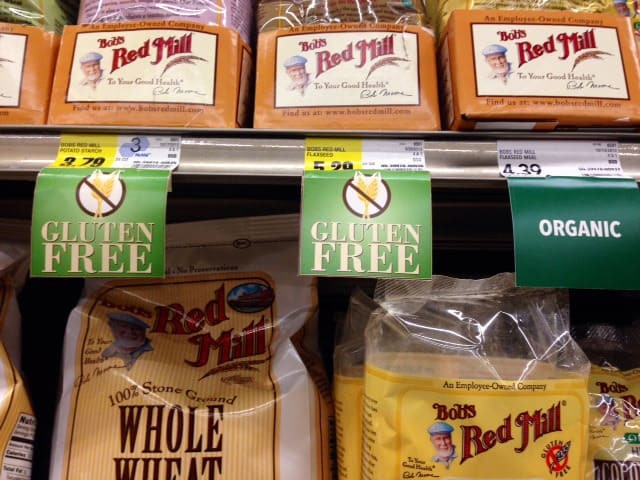 My sister and mom both had to give up gluten – it seemed to be really hard for them at first but now not really! 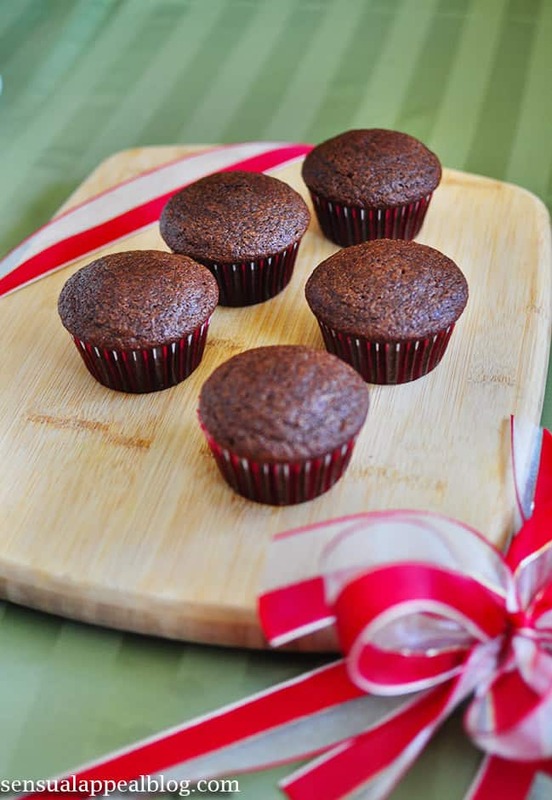 These gingerbread muffins look delicious – I’ll have to pass along the recipe to them! These looks great! I have been following the paleo diet for years now because of allergies. YUM YUM! I love gingerbread spices! So this is a blog about intuitive eating? Because honestly, your whole post is about restriction, restriction, restriction and sounds very ED-ish. The recipe looks interesting… I might give it a try… I will probably add additional sweetener like more maple syrup or some sucanat. What sounds ED-ish about this? I’m limiting dairy because I am lactose-intolernant. I want to decrease my consumption of gluten because of the negative effects it has been linked to with the brain. Notice I did not say avoid or get rid of, I say limit and decrease. None of this is restricting, in my eyes. I’m eating intuitively and part of intuitive eating is listening to how your body feels – and if you body is not happy after eating dairy and it gives me issues, then why would I continue eating it? Also, if you add more maple syrup you could try adding a little bit more almond flour as well since the consistency will change when you add more liquid. You could try adding sucanat and that might work. I’d love to hear back about how they turn out for you with these substitutions! Thank you! You have to listen to what your body is telling you. I hope going more gluten and dairy free will help you. P.s. the muffins look great. What can I sub the potato starch for? After a few min of research I discovered tapioca flour oftentimes creates tougher breads so I used half tapioca & half cornstarch. They turned out beautifully … my son is thrilled! Thank you!